Candlestick analysis is a handy technical tool for providing nuance and insight into stock price patterns, but traders should avoid five key mistakes. Candlestick patterns have long been a favorite tool of many technical traders, offering a more nuanced view of a stock or market beyond what you can see in the garden-variety bar chart or minimalist line chart. Yet there are dozens, if not hundreds, of variations in candlestick patterns, and just as many, if not more, interpretations of what they may indicate. That means it’s important to grasp a few basics and understand that candlestick analysis really comes down to one thing: price behavior. Candlesticks can help traders decide on potential price inflection points and opportunities over relatively short time frames, such as eight to 10 trading sessions. 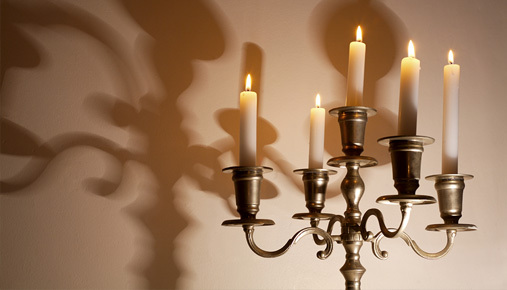 Here are five mistakes that technical traders often make with candlesticks. Trying to find meaning in every candle. Let’s face it, sometimes markets are “noisy.” Not every trading day or week is useful when thinking about future price movement. Analyzing price behavior is most meaningful at significant support and resistance levels. That means you have to first decide where you think these levels are likely to be, then watch for recognizable patterns only at these levels. Trying to be too creative. If you have to squint to see it, it’s probably not there. Don’t worry about assigning a textbook label to all the price behavior you see. Just make sure you are looking for evidence of strong buying when you expect buying, and evidence of strong selling when you expect selling. Not being creative enough. Textbook patterns that usually develop over three candles may end up developing over five candles instead. But the meaning is still the same. Aim to dig up the story of price action at important levels, rather than just reading the pages. Overusing intraday time frames. According to legend, when Japanese rice traders first developed candlestick analysis in the 18th century, they would end the day pondering the significance and symbolism of the day’s candle and how it fit into the big picture. But it’s hard to do that on a one-minute chart. Try not to make your focus too narrow. Failing to wait for confirmation. Some candlestick patterns are what traders call self-confirming, but many are not. Some traders want to be sure to wait until the candle period is closed before acting on its signal, and they always wait for the right confirmation that price is moving the direction expected. FIGURE 1: LIGHT THE WAY. For the daily candlestick chart in this example, a higher closing price than the previous day has a green body, while a lower close is shown in red. To change charts to Candlesticks, log in to the thinkorswim® platform and click Style > Chart type > Candle. Chart source: TD Ameritrade’s thinkorswim® platform. Data source: NYSE. Not a recommendation. For illustrative purposes only. Past performance does not guarantee future results. Editor's note: This article was originally published in January 2015. Investools, Inc. and TD Ameritrade, Inc., are separate but affiliated companies that are not responsible for each other’s services or policies. Devin Ekberg is not a representative of TD Ameritrade, Inc.
Investools® does not provide financial advice and is not in the business of transacting trades.